Providing free healthcare to millions of women and children in some of the world’s poorest countries has come a step closer, with the unveiling on 23 September of a US$5.3 billion financing package by British Prime Minister, Gordon Brown. See also: Scrapping user fees "just the first step"
The funds, to be used to roll back user fees in Malawi, Liberia, Sierra Leone, Ghana, Nepal and Burundi, would reportedly benefit 10 million people – mainly women and children – and help cut maternal mortality. In announcing the initiative, Brown said that charging the poor even a few cents for health services “became a death sentence for millions”. The funding commitment was the result of 12 months’ work by a taskforce on International Innovative Finance for Health Systems, co-chaired by Brown and World Bank President Robert Zoellick, and is to include a pledge of US$3 billion from the online travel industry. The goal is to help developing countries meet their health millennium development goals by 2015, and the financing represents commitments rather than cash immediately available. The role of user fees in healthcare has long been a subject of debate in development policy. Initially supported by the World Bank and International Monetary Fund as a way to finance healthcare costs in the 1980s, Brown referred to the fees as “bad development advice and bad development policy”. Many development NGOs strongly advocate for their abolishment, arguing that user fees contribute a modest 5 percent to national health budgets, and punish the most vulnerable members of society. High child and maternal mortality rates are often correlated with user fees. Oxfam reports that 500,000 women die annually because they do not have access to healthcare during pregnancy and childbirth; according to Save the Children-UK, eliminating fees could save the lives of 285,000 children each year. Simon Wright, head of health at Save the Children-UK, said the move would have an immediate impact on healthcare. 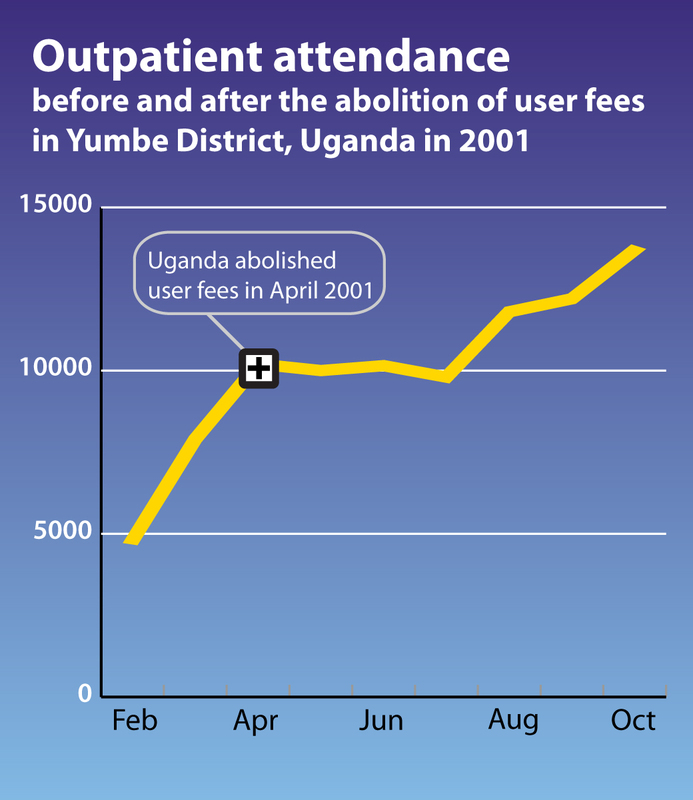 “In Uganda, when they removed user fees, attendance at clinics increased by 160 percent. People were just waiting until they were told they wouldn’t have to sell their property or use up their savings to go to the doctor,” he said. Wright pointed out that while many developing countries still charged some kind of fee for health services, there were now very few vocal proponents, with even the World Bank no longer a strong advocate. Zoellick, who co-chaired the taskforce meeting with Brown, on the fringes of the UN General Assembly gathering, said healthcare services should be provided free of charge, “where governments choose that’s the best way”.